Last week’s UN General Assembly Session in New York, presented perhaps one last great opportunity, for the international community to get a grip on the Ebola crisis, that is now poised to destroying the social and economic fabric of West Africa, if not the entire continent. If the world does not wake up to the unfolding crisis in Sierra Leone, Liberia and Guinea, and put a UN driven, global partnership framework of support in place to tackle the virus now, there will be another global economic recession – the likes of which, has never been experienced. But it seems world leaders speaking at the UN General Assembly last week, may have finally got the message. In response, the British Prime Minister said; ‘The UK stands ready to support the UN mission to avoid duplication,’ as Britain and Sierra Leone agreed a Joint Action Plan that empowers the UK government to take the lead in managing the Ebola crisis in Sierra Leone. But how will the Plan be implemented? Last week, the British government responded to a request it said it had received from the government of Sierra Leone for help in combating the Ebola virus. It announced a series of measures and practical support, including the formulation of a Joint Action Plan which is to be coordinated and managed by the British government. 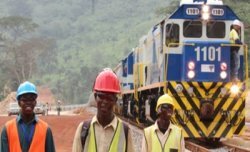 The UK will set up a forward command and control logistical hub that will provide the backbone of infrastructure, commodities, training and management needed to scale up the response in Sierra Leone. The hub will be staffed by a large multi-agency team including military, humanitarian and health experts. It will work closely with international partners and with the Government of Sierra Leone. Offers of technical support to this central organisational and logistics function are needed, including information management, Geographic Information Systems support and urgent additional capacity to maintain air support for personnel and supplies. 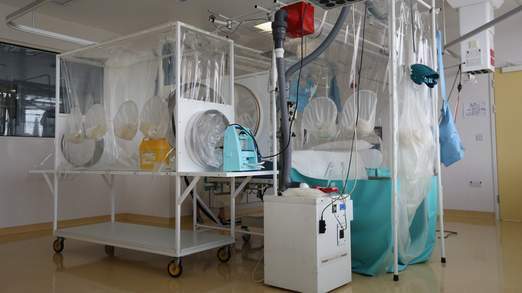 The UK is already supporting over 200 Ebola treatment beds in Freetown and Kenema. Using military oversight and local contractors the UK will establish the physical infrastructure for an additional 500 new beds. The UK is building at least four new Ebola Treatment Facilities (ETFs) near urban centres where demand is projected to be highest. In order of priority the UK will establish these in Port Loko, Freetown, Makeni, and Bo. The UK will cover all the construction and operating costs for these 500 new facilities and will pay for the associated commodities. The priority need is for international teams that can provide the management and medical care for these 500 beds. Urgent offers are needed from organisations who will run and manage the facilities.  International clinical staff – over 600 immediately and more as teams rotate out. This includes doctors, nurses, nurse aids, pharmacologists, pharmacists and logistics support. The UK will offer training for foreign medical teams supporting the 700 beds. The UK is already supporting the World Health Organisation to train 90 national health workers a week. This will be significantly increased to deliver the hundreds of trained national health workers that are needed. The UK will cover the full salary and operating costs for the national staff, and if needed, for foreign medical teams. There is urgent need for additional international medical trainers to boost training capacity. The UK is already building a 62 bed treatment facility in Kerrytown, 40km south of Freetown. The Facility will be in two integrated parts, using shared services: a 12 bed tented unit for national and international Ebola health workers; and a 50 bed open access unit for any victims of the disease. The 12 beds will be protected for all national and international health workers who become infected with Ebola and provide them with a UK-comparable standard of care. Our partner agency will be Save the Children. The UK commits to provide the same standard of care for all international staff working on the 700 beds as it does for British Nationals. This includes access to the Kerrytown facility for international health care workers, when it is up and running, and where the quality of care will be comparable to that available in the UK. The UK will work with partners already on the ground to significantly scale up support for social mobilisation, contact tracing, burial services and community level care. Much of the transmission takes place within the community, in the interval between Ebola patients becoming infectious and being isolated. Working with WHO and UNICEF, the UK is urgently assessing the most appropriate approach to tackling this issue. The UK stands ready to scale up work in this area rapidly. There is also the need for additional laboratory capacity to ensure that cases are identified early and to increase the speed of discharge to free up beds in treatment facilities. International organisations and NGOs who can support work in the community are needed. The UK will be issuing a call for proposals through the Department for International Development’s Rapid Response Facility. The UK estimate that this plan will cost at least £100 million to deliver the command and control hub, construct and operate 700 beds, and to pay for international and national staff, associated commodities and community care. The UK is already making a substantial contribution and is committing to the full £100 million. But this is not enough to defeat Ebola in Sierra Leone. More financial support can urgently help extend activities beyond this plan – to scale up support to community care and treatment and to provide commodities, more treatment beds and other essential needs for the Government of Sierra Leone. For governments who are not able to provide technical support, but can provide additional financial contributions, the UK will work with the UN to direct financial contributions to where they are needed, including the Government of Sierra Leone and to international NGO partner organisations. The UK will issue soon a call for proposals to the NGO sector to ensure that no NGO with the capacity to support treatment or other work in the community is going unfunded. Support is also requested from private sector organisations, particularly with regard to air transport and logistics management. Is China’s Ebola pact with Sierra Leone at odds with the British Ebola Action Plan?